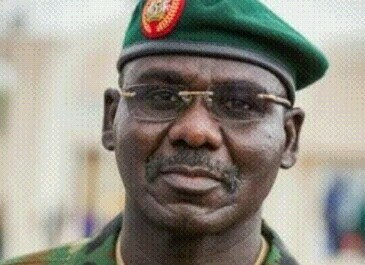 The Army has warned killers to stop their evil act or “face decisive action by troops”. It also warned that commanders who fail to act decisively would “face court martial”. Killings have persisted in Taraba, Benue and Adamawa states, despite the ongoing operation “Cat Race”. No fewer than 24 people were killed in Okpokwu Local Government Area of Benue State last week in attacks by herdsmen. There was a resurgence of violence in Plateau State where between Wednesday and Saturday 25 people, including a family of five, were killed. But the police put the figure of the dead at 16. Gunmen suspected to be Fulani militia invaded Daffo village in Bokkos Local Government of Plateau State, killing among others five members of Rev. Bitrus Ishaya’s family. The victims have been buried in two mass graves. An eyewitness, Jerry Datim, said: “I was part of the rescue team. Those killed are 25. “This very attack was a fallout of the January conflict in Daffo between the youths and the Fulani; the Fulani vowed reprisal. So, on March 7, the Fulani numbering about 200 and fully armed, stormed the village at about 11:30pm. Some were dressed in black; others in red. After the attack, we recovered five bodies of victims. A group of concerned members of the Ronkulere ethnic group in Daffo, who also confirmed the attack at a news conference in Jos yesterday, said the last attack by the Fulani militia was carried out on March7 and 8. Ambassador Adams, said: ”The gunmen unleashed mayhem on people of Fahrundonghai hamlet and environs of Daffo district. “This is one attack too many; we have had enough of these killings. This act of senselessness and share disregard for our kindness and hospitality as well as our respect for law and order must stop. Government should step in and stop these killings. “We have the records of such killings in 2013, 2015 to the extent that our paramount ruler the Saf Ron Kulere was killed in 2016 in a similar manner. We will be compelled to petition the United Nations if the Nigerian security are not ready to protect us from these gunmen. “More than 400 residents have been displaced because their houses have been razed by the attackers, families food stuff have been razed down and those displaced will not be able to prepare their farm land for the farming season, this is a serious disaster in our communities. The group said two suspects were arrested by men of the special military task force “Operation Safe Haven”. But the federal troops denied such arrests. Plateau State Governor Simon Lalong has promised not to rest until every life in the state is secured. Commissioner for Information Yakubu Dati, in a statement, said: “Plateau State Government has given a marching order to the security agents in the state to immediately arrest and prosecute the criminals that perpetrated the killings of a couple of persons in Bassa and Bokkos Local Government Areas of the state. “Governor Lalong believes that our differences are better resolved by sitting together to address them rather than taking arms against one another. “He warned that the state will not fold its arms and watch the enemies of Plateau take us back to the dark old days when citizens distrusted one another, adding that we must emphasize the great values that unite us as a people. The Police said they had arrested a herdsman with a military AK 47 rifle. Plateau police spokesman Terna Tyopev gave the rifle’s number as HC2614. He said the herdsman, Muhammadu Musa Bimini, was arrested by riot policemen on Thursday at Daffo. Tyopev, according to the News Agency of Nigeria (NAN), said the suspect had been transferred from Bokkos to the Criminal Investigation Department (CID) in Jos and was already being interrogated. The police spokesman said 16 people were confirmed killed in the multiple attacks on several villages between Wednesday and Friday. He said the command had deployed more personnel to restore peace to the trouble areas, and advised the people to remain calm and avoid taking the law into their hands. Meanwhile, leaders of the affected communities have said that 25 people were killed in the attacks. The community leaders, who briefed newsmen on Sunday in Jos, said that many others were still missing.